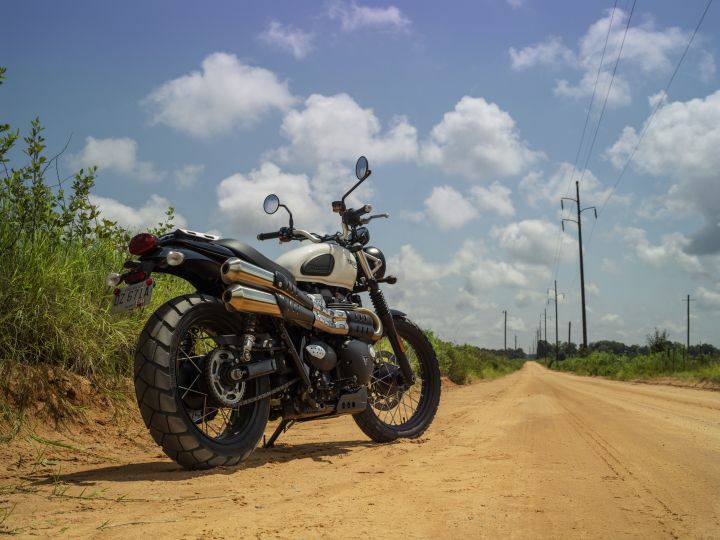 The 2019 Triumph Street Twin & Street Scrambler will be launched in India On February 14. Both bikes get an 18 per cent power bump. Major component changes include the front suspension and brakes. Subtle changes in design lend in a premium touch. Expect a price increase of around Rs 50,000 over the outgoing models. Triumph has a habit of teasing and tempting us via their social media channels with regards to their motorcycle launches. Now, they just put up a teaser video of the Street Scrambler on Instagram and we have received a “Block Your Date” invite on 14 February. So we are safe to assume that we would have a Valentine’s Day date with not only the 2019 edition of the Street Scrambler but also its naked roadster twin, the Street Twin. All innuendos aside, the 2019 iteration of the two bikes made their debut at last year’s INTERMOT show, followed by their display at the EICMA show in November. Externally, the design changes are quite subtle in both the motorcycles — like the new logo, wheels and slightly reworked side panels. 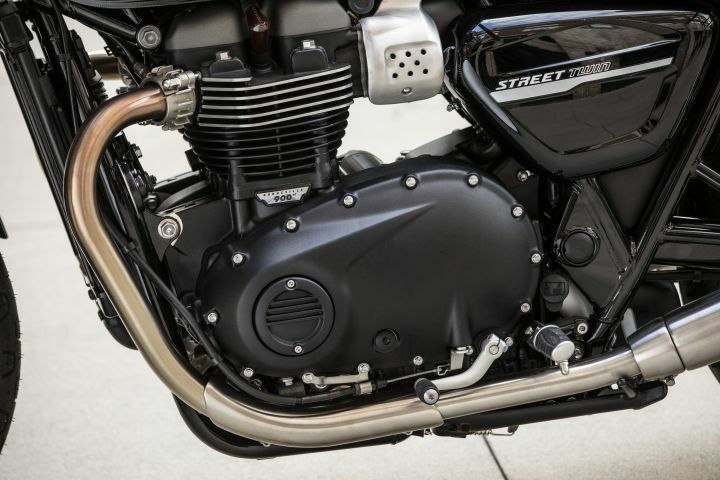 Triumph has given more emphasis on the technical aspects of the bikes instead. For starters, the 900cc parallel twin liquid-cooled DOHC motor now produces 10PS more than the older-gen models, at 65PS. The peak torque output of 80Nm has remained unchanged, though. Other changes to the engine include a magnesium case, lighter clutch, crankshaft, and balancer shaft. Also, there are two new riding modes, Road and Rain, apart from the already existing switchable traction control and ABS. Up front, the two bikes employ new 41mm KYB front forks with cartridge damping. On the other hand, the rear uses the same preload-adjustable KYB twin shock absorbers as before. The 2019 version gets a Brembo four-piston caliper up front instead of Nissin two-piston calipers grabbing the 310mm front disc. For the Street Scrambler, the rear continues with the same 255mm disc with Nissin caliper setup. However, for the Street Twin, the rear disc size has gone down from 255mm to 220mm, though the Nissin two-piston caliper is unchanged. We believe these changes would command a price hike of around Rs 50,000 over the previous models. At present, the Street Twin costs Rs 7.7 lakh while the Street Scrambler will set you back by Rs 8.6 lakh, both ex-showroom pan-India. The Street Scrambler locks horns with the Ducati Scrambler 800 while the Street Twin doesn’t have any competitors in its segment in that price bracket.